Purchase Chaikin Analytics - Maximize portfolio profits with less risk today! Maximize portfolio profits with less risk today! **Membership will automatically renew at $595/qtr. Everything you need to know about a stock…all in one place. 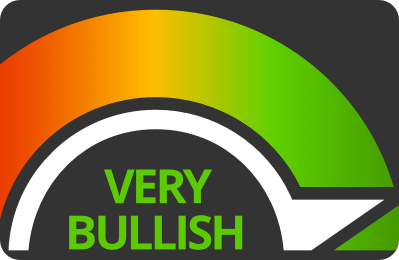 Unlock the powerful, proven Chaikin Power Gauge rating—a remarkably accurate indicator of where a stock is headed over the next 3 to 6 months. Detailed stock charting that includes proprietary Chaikin indicators. Including dynamically updated Intraday charting! 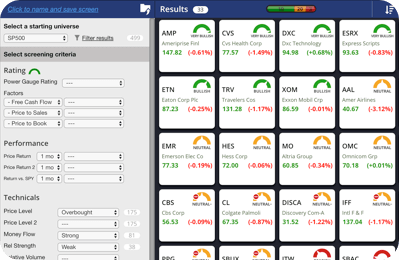 Built in Stock Screener to instantly find stocks that match your investing strategy. 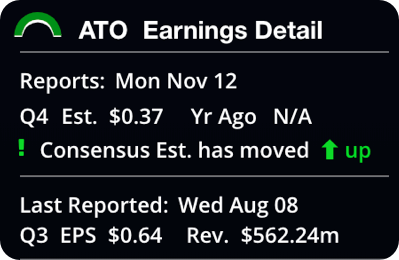 Earnings Alerts help you find timely ideas before upcoming earnings reports and if a stock is likely to beat or miss estimates. 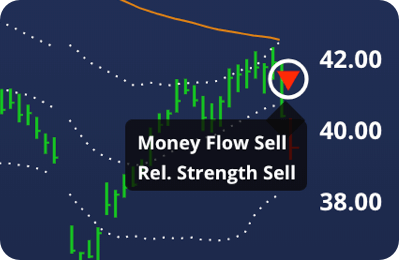 Eliminates emotion & gives you conviction to make profitable investment decisions. 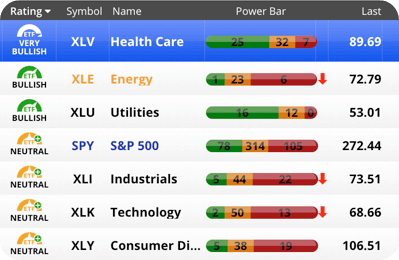 Stay ahead of industry shifts with the Sector & ETF Performance View. 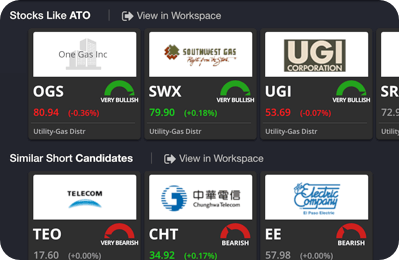 Quickly scan over 5,000 stocks & ETFs. Includes dozens of prescreened stock lists. 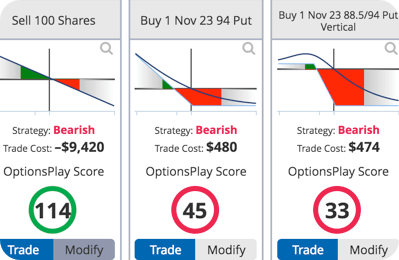 Create high-probability options strategies, quickly and easily. 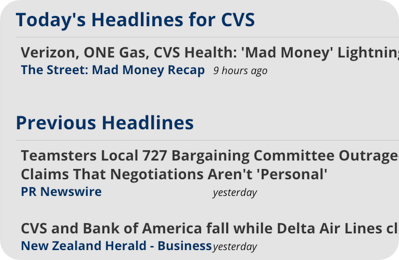 No need to scour the internet for the latest news on a stock, because it is built-in to Chaikin Analytics, keeping you informed! 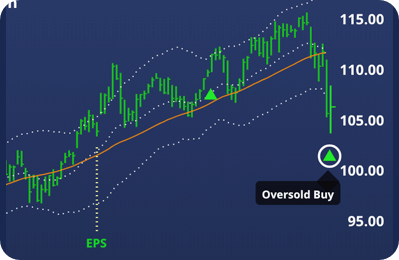 Spend less time hunting for stock ideas with the new “Stock Discovery” feature from Chaikin Analytics, which automatically finds stock ideas based on any identified stock symbol or company. Our client services team will highlight unique aspects of Chaikin Analytics with live Q&A. Weekly expert market commentary from Marc Chaikin, so you’ll have everything you need for the coming week, and more! Looking for additional insights? Look no further. Where is the market going? What trades should I be making to profit right now, in these market conditions?! Sign up today and start thriving in the market! 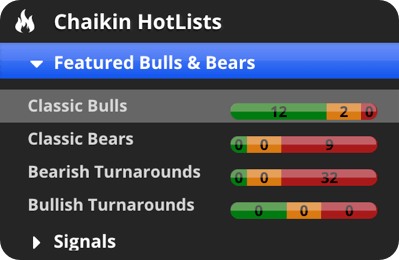 Already a Chaikin Analytics Member? 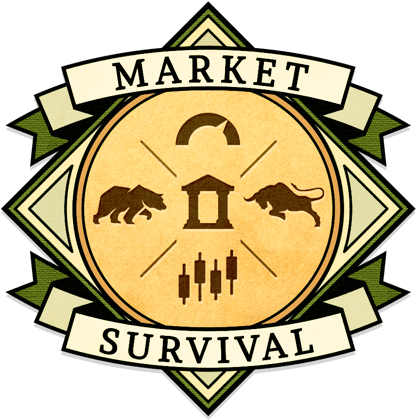 As a current Chaikin Analytics member, you receive an exclusive membership discount for a subscription to Market Survival Guide. Please call our team at (877) 978-6257 to get special pricing information or to add the Market Survival Guide to your membership. Chaikin Analytics is not registered as a broker-dealer or investment advisor either with the U.S. Securities and Exchange Commission or with any state securities regulatory authority. Chaikin Analytics is for educational purposes only and is not a trade advisory service. Past results of any trading system or methodology do not guarantee future results. Users bear sole responsibility for their own investment research and decisions.